March 20, 2018, 12:53 p.m.
Hidden cameras. Leadership disagreements. And, oh yeah, misinformation is still a problem. By Christine Schmidt @newsbyschmidt March 20, 2018, 12:53 p.m.
We’re onto the fourth day of the Facebook-Cambridge Analytica revelations, but now the pendulum is swinging further and further toward Facebook. My colleague Laura Hazard Owen tracked the initial wave over the weekend and the fallout continues. The story seems to have staying power and is spreading (information warfare expert Molly McKew wrote a Cosmo explainer about it). As a refresher, the news that broke Saturday was about how the Cambridge Analytica data analytics firm harvested data from millions of Facebook users to build a system that would target voters with personalized political advertisements. New reporting is building on that story. Hey Facebook, I think there are a few people who want to have meaningful conversations with you. This wasn’t a data breach — it was a result of Facebook’s business model, Zeynep Tukefci points out in a New York Times op-ed. Motherboard also explained to readers why this isn’t a breach. Saying that “everyone involved” consented seems misleading, given that only around 270,000 out of the 50 million people who got their data harvested reportedly signed up for the app. The others probably had no idea this app even existed. And since Facebook changes its privacy settings so frequently, we also don’t know if the people who agreed to use the app fully understood what kind of data they were giving up. And no one at the time knew the data would later be handed out to a shadowy data analytics firm hired by the Trump campaign…. It’s not a breach if it’s in the API. You all desperately need a crash course in tech if you’re going to keep trying to report on it. A former Facebook platform operations manager said Facebook looked the other way when he raised the alarm about these issues years ago. [Sandy] Parakilas said he “always assumed there was something of a black market” for Facebook data that had been passed to external developers. However, he said that when he told other executives the company should proactively “audit developers directly and see what’s going on with the data” he was discouraged from the approach. Facebook’s chief security officer, Alex Stamos, tried to offer clarifications on Twitter over the weekend but deleted his tweets “not because they were factually incorrect but because I should have done a better job weighing in.” The New York Times reported that Stamos is planning to leave the company in a reflection of “heightened leadership tension at the top of the social network.” The tension comes from disagreements over how much Facebook should disclose about foreign interference on the platform ahead of the 2018 midterm elections. Stamos was reportedly on the share-more side but went from overseeing a team of 120 people to three, according to the Times. 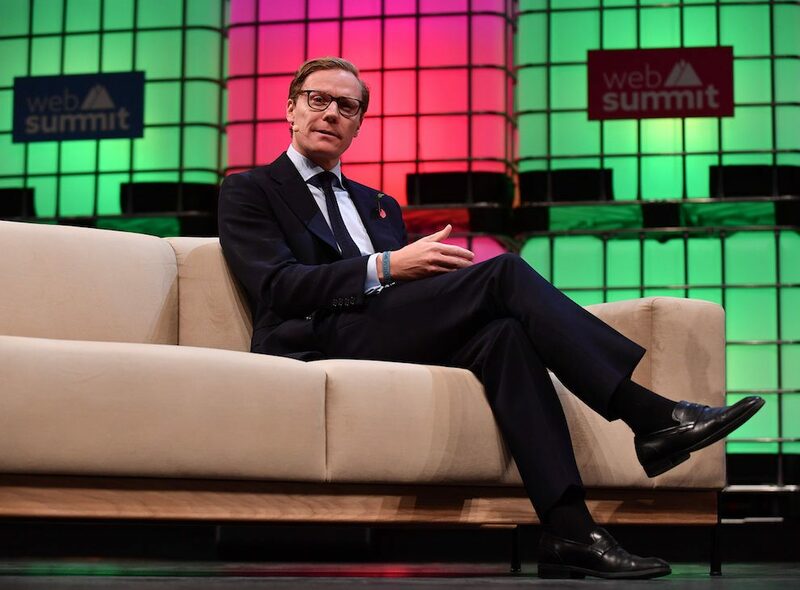 Facebook updated its blog post about hiring a digital forensics firm to investigate at Cambridge Analytica’s office with the news that the auditors “stood down” at the request of the United Kingdom. Are politicians actually going to do something about this? On Tuesday morning, Bloomberg reported that the U.S. Federal Trade Commission is probing whether Facebook violated terms of a consent decree in sharing the user data that ended up with Cambridge Analytica. Facebook could be fined more than $40,000 a day per violation. Some Republican and Democratic senators calling for Zuckerberg (and Google and Twitter execs) to testify before Congress. (A White House spokesperson told Fox News, “If Congress wants to look into the matter or other agencies want to look into the matter, we welcome that.”) European regulators are also seeking more information and testimony, especially with the European data privacy regulation coming into effect in May. Now, the company has backtracked and said the video was “edited and scripted to grossly misrepresent the nature of those conversations” and Nix was just playing along with “a series of ludicrous hypothetical scenarios” to avoid embarrassing the client. Meanwhile, misinformation is still rampant on the platform. Buzzfeed’s Craig Silverman, Jane Lytvyenko, and Lam Thuy Vo published a story Monday about the “spammers, hackers, and trolls” taking advantage of Facebook’s new focus on Groups to wreak havoc and spread misinformation. It’s not pretty, and it shows that “meaningful interactions” can still be hijacked for unseemly purposes. POSTED March 20, 2018, 12:53 p.m.
Schmidt, Christine. "The Facebook-Cambridge Analytica fallout continues. Data breach? No. Pretty bad? Yes." Nieman Journalism Lab. Nieman Foundation for Journalism at Harvard, 20 Mar. 2018. Web. 24 Apr. 2019. Schmidt, Christine. "The Facebook-Cambridge Analytica fallout continues. Data breach? No. Pretty bad? Yes." Nieman Journalism Lab. Last modified March 20, 2018. Accessed April 24, 2019. https://www.niemanlab.org/2018/03/the-facebook-cambridge-analytica-fallout-continues-data-breach-no-pretty-bad-yes/.